A healthy body is the birthright of every human being. Everyone wants a healthy and vibrant body but surprisingly enough most of people do not actually do much regarding their physical health or worse they are involved in exactly opposite life style. A life style that takes them miles away from their dream of a healthy body. Bringing a little awareness to the subtle signals given by body brings a lot of understanding of the body to us. An understanding that body is a divine vehicle and a gross form of consciousness, helps a person to move from an unhealthy lifestyle to a healthy one. Being Conscious is not a thought or a mindset, it is a feeling, a feeling of being alive and being connected to the life as whole. Consciousness of the body arises with an understanding and knowledge of the physical body. Our physical body also referred to as Annamaya Kosha is formed by a interplay of five divine elements: The Panchtattvas. And further Tattva Shakti Vigyaan practitioners’ experiential understanding reaffirms that the five elements are not only in the form of gross matter present in our Annamaya Kosha (Physical body) but are present in subtle forms in our other four Koshas of Panch Kosha also. The Five elements are conscious entities affecting us on all levels. On mental, physical and energy level their imbalance can cause various implications. Physical body is very much affected by the imbalance of the tattvas and our life style also pollutes them. Every element affects our physical body in various ways. An increase or decrease in elements cause various diseases but we cannot always single out an element as a cause for any disease. An Ayurvedacharya before giving any medication tries to understand the Dosha of the patient. There are predominantly three Dosha’s – Vata, Pitta and Kapha. I say predominantly as there are sub-doshas also. Like for Vata Dosha sub dosha’s are Prana Vata, Udaan Vata, Vyaan Vata, Samaan Vata, and Apaan Vata. For Pitta Dosha sub-doshas are Pachak Pitta, Ranjak Pitta, Sadhak Pitta, Alochak Pitta and Bhrajaka Pitta. 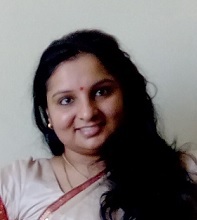 For Kapha Dosha sub-doshas are Avlambak Kapha, Kledak Kapha, Bohaka Kapha, Tarpaka Kapha and Shleshak Kapha. Knowing the dosha is an imperative part of Indian healing system. Tattva Shakti Therapy is a healing system that gives a clear and direct understanding of your mind-body complex by apprehending your Dosha. The Tridoshas are further made from the combination of two elements. Like Vata Dosha is combination of Vayu Tattva (Air) and Akasha Tattva(Space). Pitta Dosha is combination of Agni Tattva (Fire) and Jal Tattva (Water) and Kapha Dosha is combination of Jal Tattva (Water) and Prithvi Tattva (Earth). This makes it very clear that imbalance in elements cause imbalance in Doshas’ too. And imbalance of Doshas is the root of all diseases in a human(physical and mental). The practices in Tattva Shakti Therapy work on balancing the tattvas and thereby the doshas. The practices are completely based on ancient time tested methods of Indian Holistic healing system through which you too can claim your birthright to perfect physical and mental health. 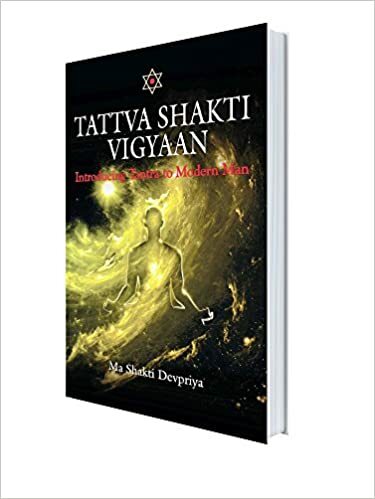 With Ma Shakti Devpriya we will keep discussing various aspects of Tattva Shakti Therapy and even learn some wonderful and easy ways for healthy mind and body.